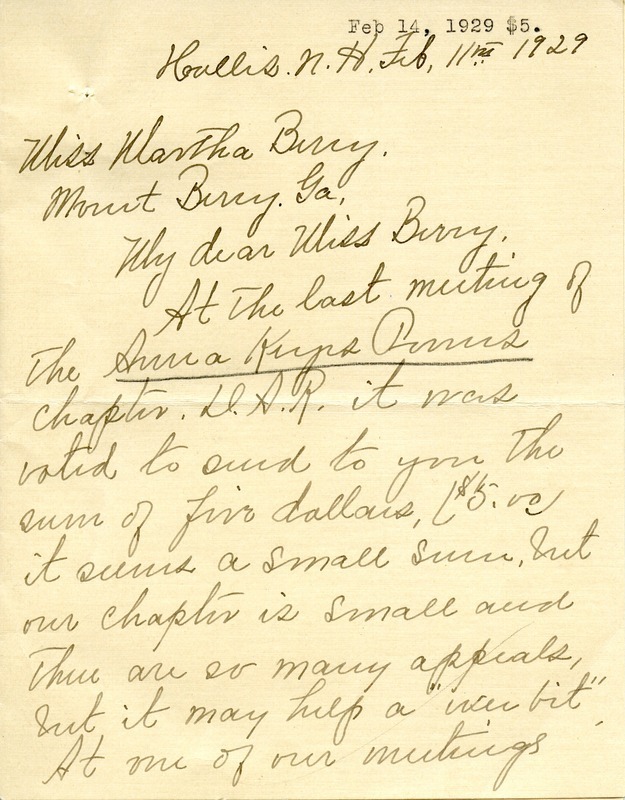 A letter enclosing a five dollar donation from a chapter of the DAR. 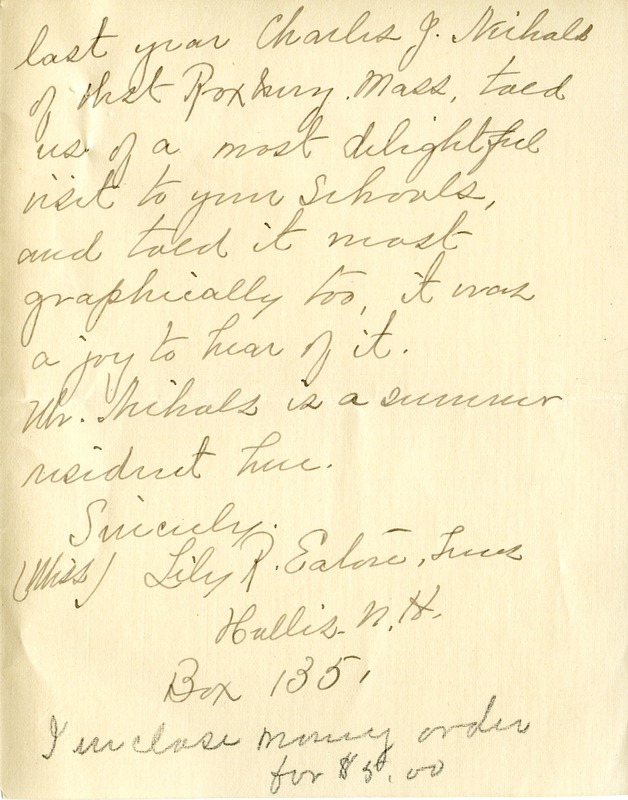 Miss Lily R. Ealore, “Letter to Martha Berry from Lily R. Ealore.” Martha Berry Digital Archive. Eds. Schlitz, Stephanie A., Jessica Hornbuckle, Meg Ratliff, et al. Mount Berry: Berry College, 2012. accessed April 25, 2019, https://mbda.berry.edu/items/show/9953.